A couple on their wedding day deserves to feel complete trust in their florist. 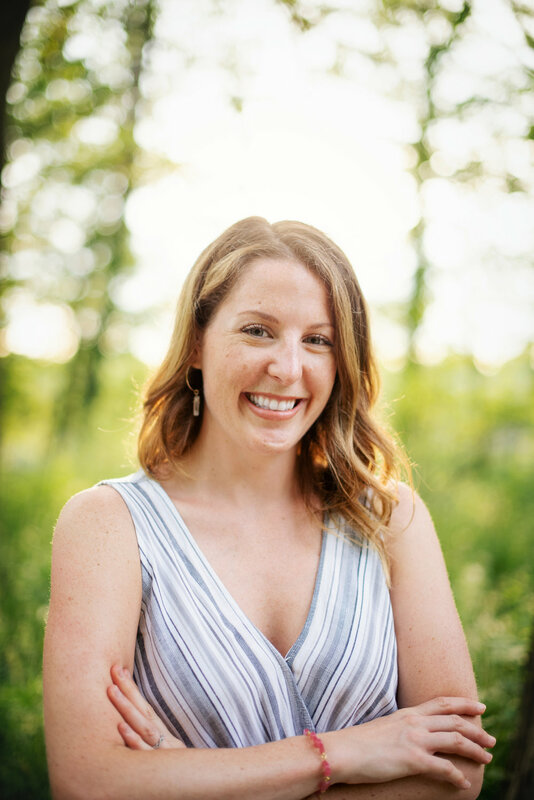 As a small studio florist, the face on this page will be the one greeting you, meeting you, answering all of your questions, and delivering your flowers on the big day. 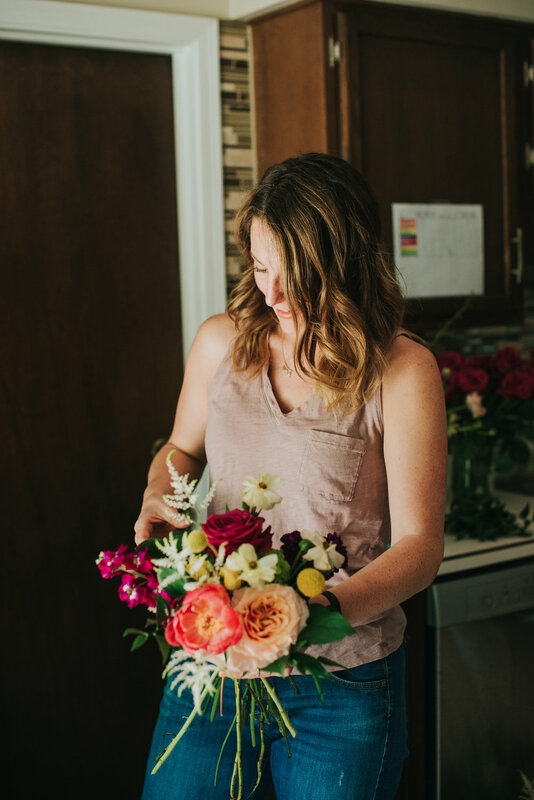 As we work together planning your beautiful florals, we'll naturally begin to get to know each other, and I'll probably miss you and have a little tear in my eye after your flowers are delivered. The best part of being in this industry is twofold. Bringing a creative vision to it's final form is so rewarding, and even more so thinking back on the day you first shared your wedding ideas with me. The people I meet along the way are the other half of what makes my heart really go pitter-patter. There are so many couples out there, each with their own special story, and a whole lifetime ahead of them to keep writing it. I'm ever humbled and honored when they choose me to be a part of their stories. Growing up in Indiana, I was the kid who picked dandelions and clovers on the soccer field to make bouquets for my family. As a "grownup", I️ enjoy crafting all sorts of things with my hands to give to others. When I began to use flowers as an artistic medium, I found a calling where I flourished. So began the endeavor known as Fleurish – from my heart, to my hands, to you.